[S35] Certified Copy of an Entry of Marriage, (General Register Office, England), Application Number PAS988687/6 (Reliability: 3). [S238] 1861 England Census, Ancestry.com, (Online publication - Provo, UT, USA: The Generations Network, Inc., 2005.Original data - Census Returns of England and Wales, 1861. Kew, Surrey, England: The National Archives of the UK (TNA): Public Record Office (PRO), 1861. Data imaged from the National), Class: RG9; Piece: 2127; Folio: 88; Page: 40; GSU roll: 542 922. (Reliability: 3). [S123] 1910 United States Federal Census, Ancestry.com, (Online publication - Provo, UT, USA: The Generations Network, Inc., 2006. For details on the contents of the film numbers, visit the following NARA web page: NARA.Original data - United States of America, Bureau of the Census. Thirteenth Census of the Unit), Year: 1910; Census Place: Granger, Salt Lake, Utah; Roll: T 624_1605; Page: 1B; Enumeration District: 83; Image: 110. (Reliability: 3). [S240] 1871 England Census, Ancestry.com, (Online publication - Provo, UT, USA: The Generations Network, Inc., 2004.Original data - Census Returns of England and Wales, 1871. Kew, Surrey, England: The National Archives of the UK (TNA): Public Record Office (PRO), 1871. Data imaged from the National), Class: RG10; Piece: 2978; Folio: 76; Page: 7; GSU roll: 838 864. (Reliability: 3). 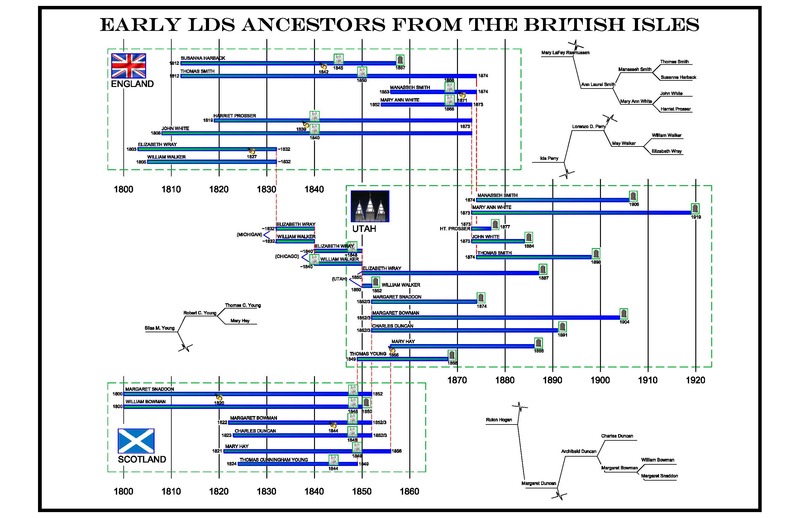 [S128] 1880 United States Federal Census, Ancestry.com and The Church of Jesus Christ of Latter-day Saints, (Online publication - Provo, UT, USA: The Generations Network, Inc., 2005. 1880 U.S. Census Index provided by The Church of), Year: 1880; Census Place: Salt Lake City, Salt Lake, Utah ; Roll: T9_1337; Family History Film: 1255337; Page: 115.20 00; Enumeration District: 46; Image: . (Reliability: 3). [S122] 1900 United States Federal Census, Ancestry.com, (Online publication - Provo, UT, USA: The Generations Network, Inc., 2004.Original data - United States of America, Bureau o), Year: 1900; Census Place: Granger, Salt Lake, Utah; Roll: T 623 1685; Page: 6B; Enumeration District: 61. (Reliability: 3). [S125] New York Passenger Lists, 1820-1957, Ancestry.com, (Online publication - Provo, UT, USA: The Generations Network, Inc., 2006.Original data - Passenger Lists of Vessels Arriving at New York, New York, 1820-1897; (National Archives Microfilm Publication M237, 675 rolls); Records of the U.S. Customs Service, R), Year: 1873; Arrival: , ; Microfilm serial: M237; Microfil m roll: M237_384; Line: ; List number: . (Reliability: 3). [S36] Bishop's Transcripts for Lugwardine, 1660-1858, Church of England, Parish Church of Lugwardine (Herefordshire), (Filmed by the Genealogical Society of Utah, 1978-1989), FHL BRITISH Film 0992315 (Reliability: 3). "1839 Marriage solemnized at the Parish Church in the Parish of Lugwardine in the County of Hereford"No.|When Married|Name and Surname|Age|Condition|Rank or Profession|Residence at the Time of Marriage|Father's Name and Surname|Rank or Profession of Father6 |April the 8th|John White|Full age|Widower|Labourer|Magley(? )|William White|Labourer| |Harriet Prosser|19|Spinster|Baristone(? )|James Prosser|Labourer"Married in the Parish Church after banns according to the Rites and ceremonies of the Established Church by me, J. William Curate ... in the presence of us, William White/Hannah Jones"